Supreme Court said it was "disheartening" to know that only nine states have so far uploaded reports and plans on disaster. The Supreme Court today took note of the devastating floods in Kerala and observed that disaster management must be given "priority" by all states and union territories. It said it was "disheartening" to know that only nine states have so far uploaded reports and plans on disaster management in vernacular languages on the website of disaster management authority. "Surely, for the purpose of disaster management, there should be urgency shown in it," said a bench of Justices Madan B Lokur and Deepak Gupta. "There must be some urgency particularly when we are dealing with the issue of disaster management," it added. The top court had last year said it would be advisable for the National Disaster Management Authority (NDMA) to regularly publish its annual report, to review and update all plans on the basis of experiences and to make its website multilingual so that all concerned may benefit. 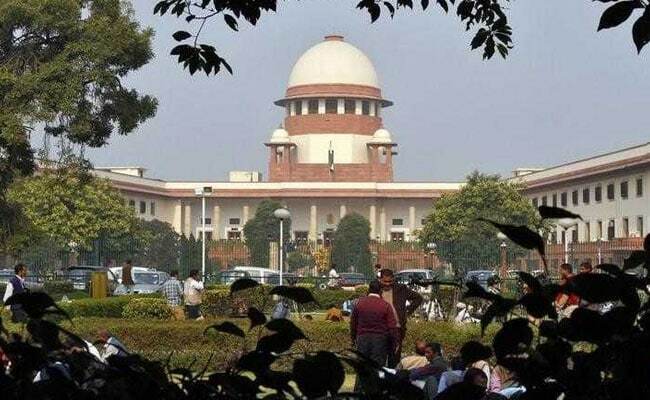 During the hearing today, Additional Solicitor General (ASG) ANS Nadkarni, appearing for the Centre, said that nine states have uploaded reports in vernacular or local languages while 24 others were still under process. "Within three months, all should be over," the ASG said. To this, the bench asked, "Why these states cannot do it soon?". "In Kerala we are seeing massive floods. Still it has not been done yet. Why states need months to translate it in vernacular languages?," the bench asked the ASG. When the ASG said that reports which were to be translated were "voluminous", the bench observed, "Is this the importance given to disaster management?. You put something on website which nobody could understand". "They (states and UTs) must realise the urgency after the disaster in Kerala," the court said and directed the states and UTs to do it by October 30. The bench has listed the matter for hearing in November. The top court had on May 8 last year criticised the lax approach of "many" states in taking adequate steps to prepare for disasters and had asked the NDMA to remain ever-vigilant and be ready to deal with natural disasters. The court's directions came while disposing of a PIL by advocate Gaurav Bansal who had sought implementation of the provisions of the Disaster Management Act.